I recently spoke with a business man who did a lot of travelling for business and had his office at home. He was considering a getting a Toronto Office Space, but thought he would almost never use it. He only meets with customers in Toronto about one or twice a month. I told him that a day office rental would be a great solution for him. I told him he could have a well appointed fully furnished executive office or even a corner office. If he had appointments with customers, he could inform the receptionist that he is expecting someone. When the customer shows up to meet him, the receptionist would welcome the guest and call him to inform him that his customer has arrived at reception, just like she would do if he was a regular office space rental client. After telling him the benefits and showing him the daily office rental page at Telsec, he realized that he would also want to be an Toronto mail service client, so his customers would see that he has an office outside of his home. The benefit of having the mail service was that he could have his mail forwarded to him anywhere, without having to go into the office. The other benefit to him was that as a monthly client, he got a better rate when he wanted a day office rental. The Business of White Label Apps could be for you! 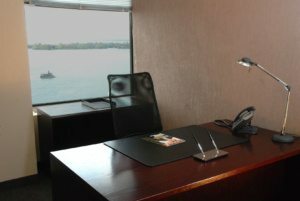 What are Executive Suites Toronto?